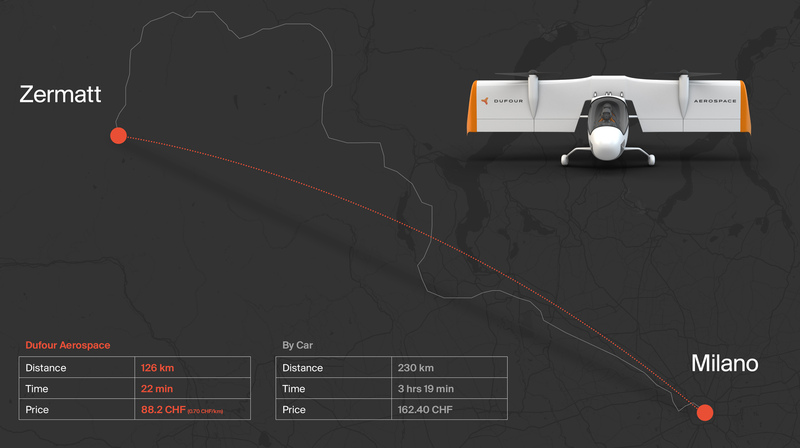 Dufour Aerospace, based near the Swiss Alps, believes in Regional Air Mobility as opposed to Urban Air Mobility. Since 2015, Dufour Aerospace has worked on its vision for eVTOL mobility. It started with successful flights of the aEro1 electric airplane and is now working on building the prototype aEro2, a two-seater tilt-wing hybrid eVTOL capable of travel up to 800km. Dufour Aerospace believes that while short-distance urban air vehicles like the Volocopter will one day emerge, longer distance ‘regional’ VTOL trips between cities rather within them are more imminent due to their higher time-saving potential. 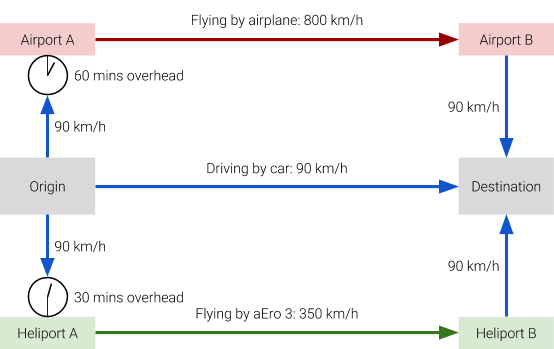 Dufour’s comparison between cars, traditional airplanes, and eVTOLs like the aEro3. 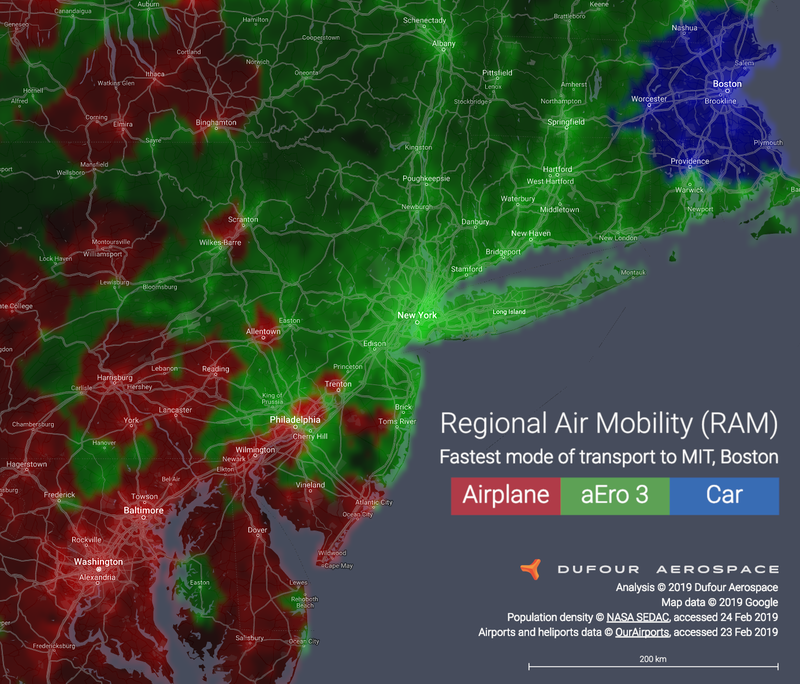 Dufour’s map of fastest transit times to MIT by mode of transportation. Dufour was recently selected as one of the Bilan top 50 startups in 2019. Read more about this latest achievement here. 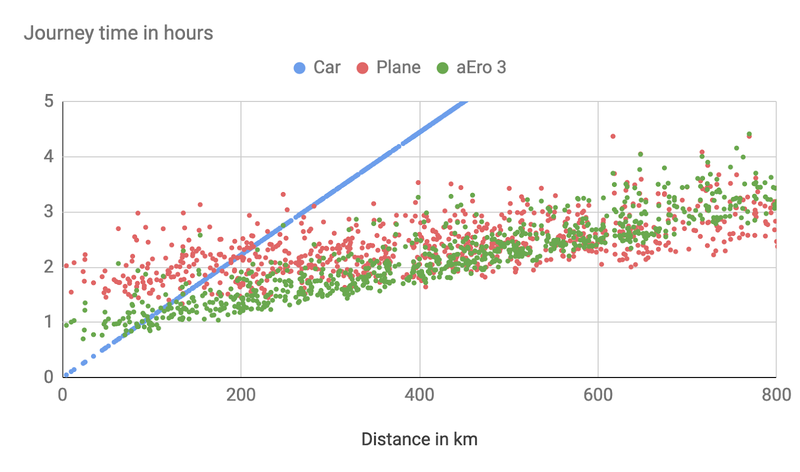 Why it’s important: While Dufour understands the appeal to skip over traffic by air, it has chosen to look at where eVTOL can save travelers the most time. Dufour believes that this is in journeys between 25 and 800km. The greatest takeaway from its recent study is that high overall time savings vs other modes of transportation is a highly important element to VTOL success.